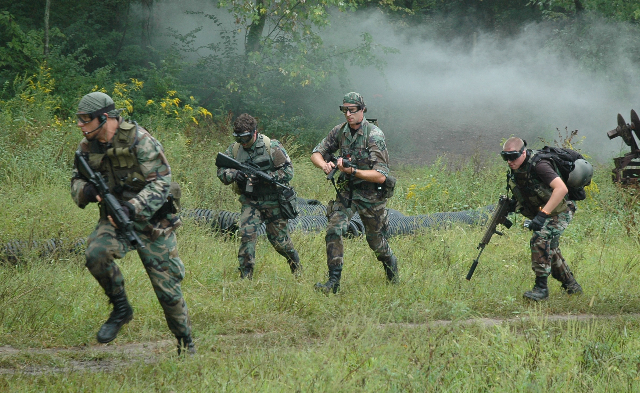 We, the 97th "Phantom" Squadron, are dedicated to making airsoft a safer sport, all the while promoting the play. Although we are Mil-Sim oriented, we also like to play fun events. 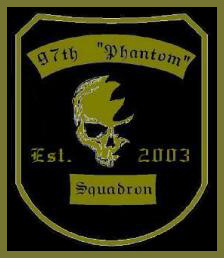 The 97th "Phantom" Squadron was founded in Sidney, Ohio in 2003 by the founding members Inferno and Mac. We have now branched out to the Troy, Greenville, Dayton, and Columbus areas, however our primary practice fields remain in Sidney. We have hosted a few events including the Brett Childs event which was a fund raiser, OP: Espial Justice which is a milsim and story line based event, and OP: Bermuda which is the second event in the Espial Justice series. There are several events still in the planning stages which have temporarily been postponed until further notice.